No products in your shopping cart. Continue shopping. Professional growers will love Quick One . It's name says it all, for it sure is one quick growing plant. 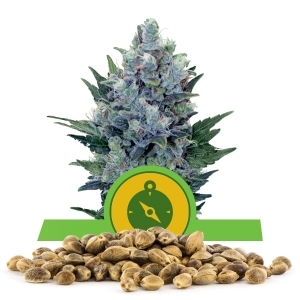 The Quick One strain takes only 5-6 weeks to flower, and will be ready to harvest shortly thereafter. With a comparatively rapid period of only 8-9 weeks between sprouting and harvesting, this strain is ready more than twice as fast as some other plants which can take up to 20 weeks to harvest. Produkt zapisany, odwiedź Moje zapisane produkty . 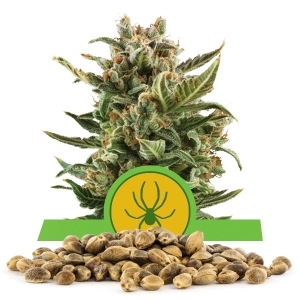 The autoflowering effect of the plant hails from its Canadian roots with the Lowryder strain. 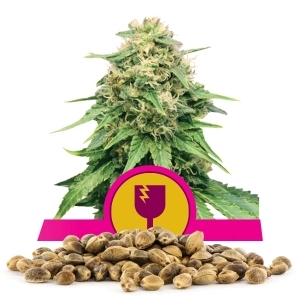 With the genetic code in place to promote automatic flowering and the feminized ready-to-flower seeds provided by us, growers needn't worry about whether or not the plant will flower and provide them wit the product or harvest they desire. The Quick Grow strain is one of the few autoflowering strains which requires no change in the light schedule for flowering to take place. This helps the grower worry less about details with such schedules, and more on other elements that will help them yield the best harvest. The plant produces a citrus-like aroma that many enjoy. With a THC content of 13%, it also creates a physically stoned effect for those who use it, while producing a mild, but pleasant taste. 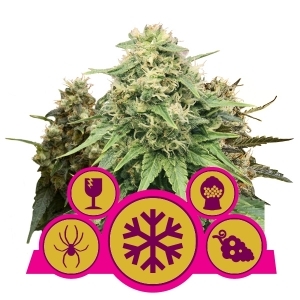 Whether you're growing indoors or outdoors, this Quick One strain will produce wonderful harvests that are great for personal recreational use or for sales by a professional grower. 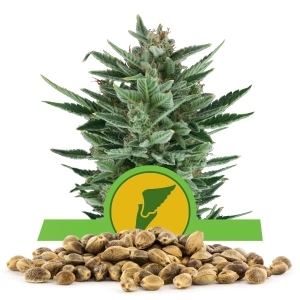 Professional growers can purchase our bulk sales, and those looking for a plant or two for personal use might be interested in our smaller sales options. Title : What is says on the tin. Comment : Super speedy plants! Strong and healthy. Żadnych pytań konsumenckich w tym momencie. MASZ 18 LAT LUB WIĘCEJ? Treści na RoyalQueenSeeds.com są odpowiednie jedynie dla osób dorosłych i są zarezerwowana dla osób pełnoletnich. Upewnij się, że znasz prawo obowiązujące w swoim kraju. że masz ukończone 18 lat lub więcej. 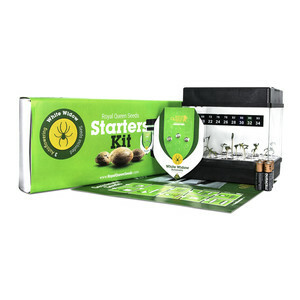 All cannabis seeds sold at Royal Queen Seeds are solely for personal use. 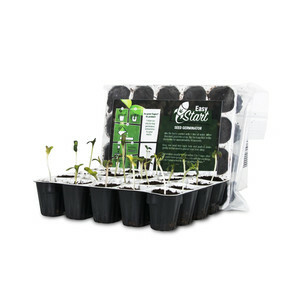 We do not supply seeds to large scale or commercial growers. We reserve the right to refuse sale if we suspect this term is being breached. *Poprzez zaznaczenie tego pola zezwalam Royal Queen Seeds na przesyłanie mi spersonalizowanych wiadomości reklamowych, dotyczących wydarzeń, promocji, ofert, zniżek i innych informacji.